Use this episode to give praise to those who deserve it! Check out our Spanish2Go app in iTunes! Awesome! Learn the Word of the Day from Twitter @spanishsurvivalAlso, look for our premium content subscription information! Awesome! Learn "We are going for a week on vacation" and more! Check out the Spanish2Go app in iTunes! Learn "How many times have you been here?" and more! Check out the app in iTunes. Spanish2Go Awesome content streamed right to your device. 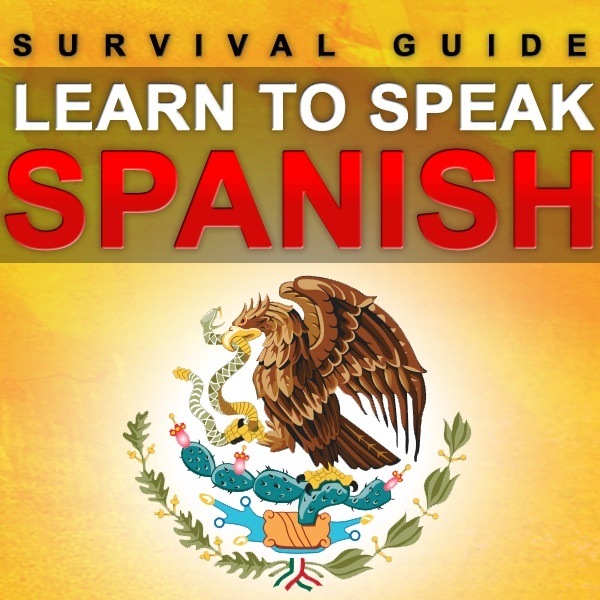 www.survivalspanish.libsyn.comclick on "MY" at the top of the page, register and subscribe! All the same quality content that I give to my students in class on a daily basis. Brand new premium content! Here's how to access it. Go to www.survivalspanish.libsyn.com and click on the "my" button at the top of the page. Then enter in your email and password to become a premium subscriber and choose the subscription of your liking and then log in any time to access that information! Awesome! Here is the same information that I present to my students on a daily basis right to your finger tips. It doesn't get better than that! Learn "What should we do?" and more!Spanish2Go in iTunes app store! Learn "Be careful" and more in this episode! Check out the word of the day on Twitter, every day!Also, please check out the app on iTunes. Spanish2Go! Awesome! Learn "Why did you come here?" and more in this episode! Learn "Leave me alone" and "stop bothering me" in this episode and more!Make sure you buy the Spanish2Go app in the iTunes app store for only $1.99. Learn useful phrases to introduce your friend to a group of people in this episode.Download our app in iTunes! Only $1.99 for streaming content through your app! Follow me @spanishsurvival for your word of the day on Twitter! Use this episode to give praise to those who deserve it! Check out our Spanish2Go app in iTunes! Awesome! Interesting trivia pieces from around the Spanish speaking world will leave you thinking......I didn't know that!Visit www.myspanishconnection.com for PDF files to all shows. Click on "Store" tab, scroll to the bottom and click "All PDF bundle" It's only $12.99 for over 100 different files. It helps to see the word that you are trying to learn! Muy bien! Here we go again! Check out Spanish2Go app in iTunes! Awesome! Learn "Tell me the truth" and more in this episode! Learn "What happened?" and "What were you thinking?" and more in this episode!Follow us on Twitter: @spanishsurvivalFollow my blog at www.myspanishconnection.comThanks for your continued support! Enjoy this collection of funny tales from inside my classroom. These are snippets of conversation that have taken place over the course of the year that are memorable. Enjoy!